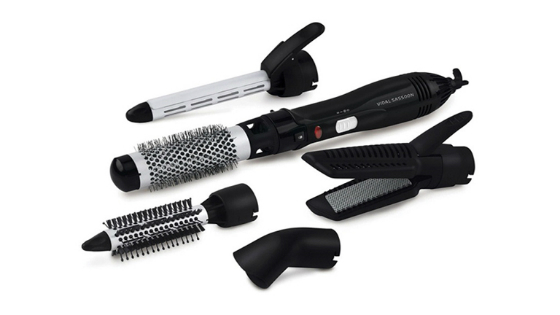 VS Sassoon produces a wide range of hair styling products such as hair dryers and hair curlers. The name Vidal Sassoon is synonymous with some of the most iconic hairstyles in history. As a stylist, Vidal Sassoon rose to prominence in London’s swinging 60’s. Heavily influenced by the design and architectural trends of the time, his angular hairstyles, such as the Bob Cut and the Pixie, brought him international recognition. His craft soon developed into a multi–million dollar business as he opened salons in the most exclusive locations and began his own hairdressing academy. Central to the Vidal Sassoon philosophy is that haircuts and hairstyles should be low maintenance. This ideal inspired a range of hair styling products that deliver a salon–quality finish from home. Packed with innovative heating technology, Vidal Sassoon products make these sophisticated styles accessible to everyone. A Vidal Sassoon hair dryer allows users to create long–lasting, salon–quality hairstyles from home. 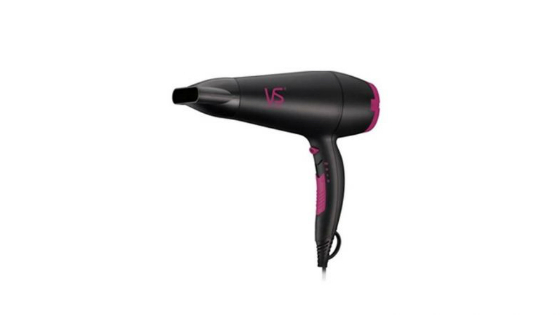 VS Sassoon hair dryers feature powerful brushless motors for fast, quiet airflow, infra–red heating to eliminate harmful hotspots and ionic conditioning to reduce frizz. Lightweight and easy–to–handle, Vidal Sassoon hairdryers allow users to create styles in complete control and comfort. A Vidal Sassoon curler gives volume and luscious curls to hair. 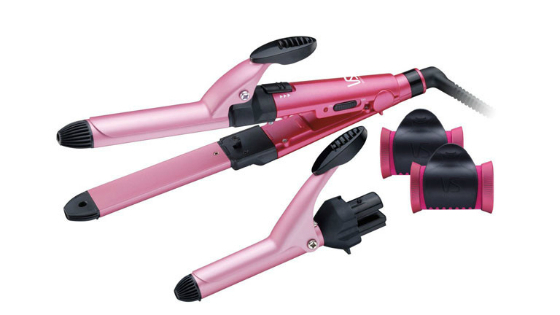 With features such as a double heating system for long–lasting shine and curls, a brushless motor with anti–tangle sensors for comfort and longevity and adjustable timer settings, a Vidal Sassoon curling iron like the VS Sassoon Curl Magic helps users create the look they want with ease. Lightweight and compact, a Vidal Sassoon hair curler can accompany you on any trip so you are always looking at your best.